How to buy your home? It may seem as though the process of purchasing a home is a complicated, overwhelming task filled with legal formalities which will serve only to burden and ultimately wear you out. Sydney Conveyancing is here however to guide you through the process, taking care of the entire legal process from beginning to end so that you may relax and focus on the excitement of purchasing your property. Below we have broken down the transaction into simple steps to aid you in gaining some peace of mind. The first step in beginning the process for purchasing a house is to speak with financial companies, a financial planner or the bank to arrange your financing. These entities able to provide you with the knowledge and appropriate advice to help you choose the best option for your personal circumstances. If you do not already have a financial entity with which you have a strong relationship, please consider coming in to meet with the established Mortgage Brokers of the Loan Institute of Australia for a free consultation and assessment. Once your finances have been finalised you will know the financial limits within which you are able to purchase a home. In choosing a property you may wish to consider whether the area in which it is located is appropriate for your lifestyle. For example, if you are a family with children or if you have recently married, your priorities in choosing a home are likely to lean toward factors such as whether the home is located near schools and sporting clubs for the children as well as whether it is close to your office or working area. Another important consideration in choosing a property is that of ascertaining the structural integrity and the condition of the property. Private treaty means buyer directly negotiating with seller or real estate agent who represents the seller. Aware of market price in the vicinity where you are buying home. Your property price rates against the comparable properties (similar properties) of the area. Generally top real estate websites will give this information. If you find difficult to get this info, we are glad to help! Always remember that seller’s agent is looking for the profit of seller and for themselves and he never looks into your interests or desires. Are relaxed after signing the contract and you have sufficient time to secure finance to do checks like Pest Inspection. In certain states, you will have to register to participate in the auction with the auctioneer. This is done to get rid of fake bidders who would place false bids simply to increase the price of the property. Hence we insist to attend the auction as onlooker to acquaint yourself with the auction process prior to participating the auction on the property you want to buy. So that, it will help you to get the real things a lot easier. Before the auction, your conveyancer should know about the contract of sale which will help to remove any possible deterrence to buy by the auctioneer or seller, so that you can be relaxed. You are aware of real estate agent is representing the seller and working our for the best interests of seller, not yours, similar to the way your Conveyancer is working to find the best for you – So is theirs! If you win the auction, make sure you have access to sufficient finance needed for the deposit. Generally you won’t participate in the auction before the finance gets sanctioned – It is simply vain in bidding the property for which you can’t pay! Don’t let the fervour get hold on you during the auction and swayed away by the excitement. Whether buying the property through auction or private treaty, ensure that your conveyancer diligently goes through the contract and make you understand the terms and conditions, property contracts which can be very flummoxed. You have to ensure that contract has specified the listing of inclusions. If this listing is not mentioned in the contact, then there is a good chance of loosing the same, no matter those are connected to the property. Also you will have to advertently note down the terms of settlement and dates as to when you have to pay the balance amount and to take control of the property. 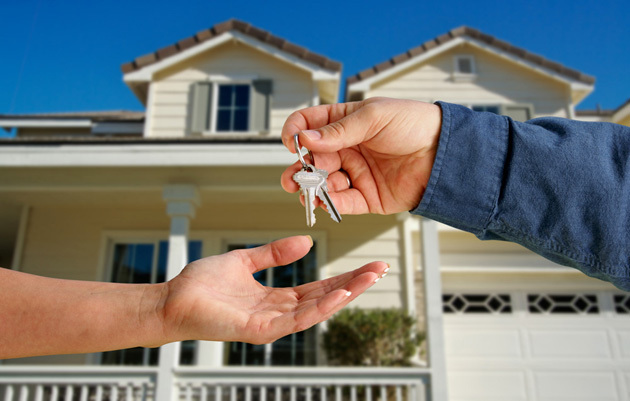 One of our experts from Sydney conveyancing will be glad to assist you and get you through this process step by step. Contact us today to speak with of our conveyancing experts! I need more time to arrange for finance and need to extend the finance date. After you have signed the contract, you have to arrange for building and pest inspection through your financier to ensure that you are satisfied with the property standards before the final inspection. Hitherto if you happy with all the things in the process, you are nigh to your settlement date and going to move into your new home soon! The final things which have to pay attention are affairs prior to settlement like availing the pre-sanction finance one day prior to settlement and stamp duty. You need to ensure the property is in the same state or beyond your expected standards since you signed the contract. For this, you will need to do the pre-settlement inspection of the property on the morning of settlement. At that time, your conveyancer will represent you to get the Certification of Title and for release the mortgage(if any). There are only few things left over before you shift to your new house like electricity, telephone connection, changing the locks, changing your home and contents insurance to the new property. This seems to be a bit long, intimidating and complicated process, but Sydney conveyancing will help you to get through this process easily. We guarantee there won’t be any unwanted trouble and stress!! !